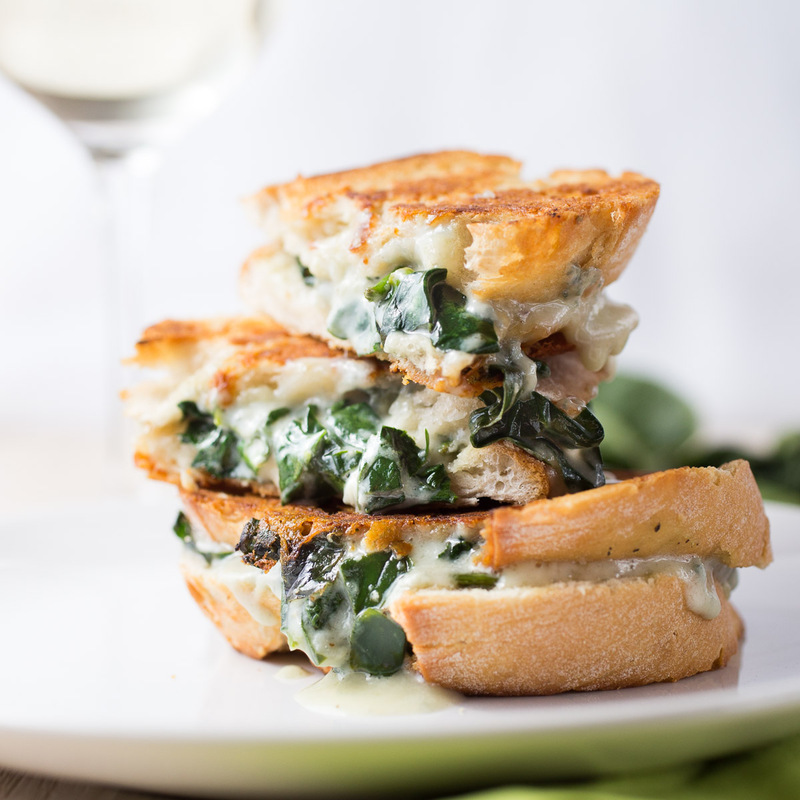 The important thing with these sandwich is, like with all grilled cheese sandwiches, to use good ingredients and do it slooooow. Never put your sandwich into a too hot pan, or else your bread will be crispy and brown, but the cheese won’t be melted. And we can’t have that. 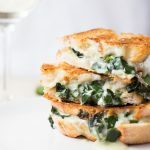 So start on a low temperature and when you see that the cheese is melting, raise it until the bread is brown and crispy. 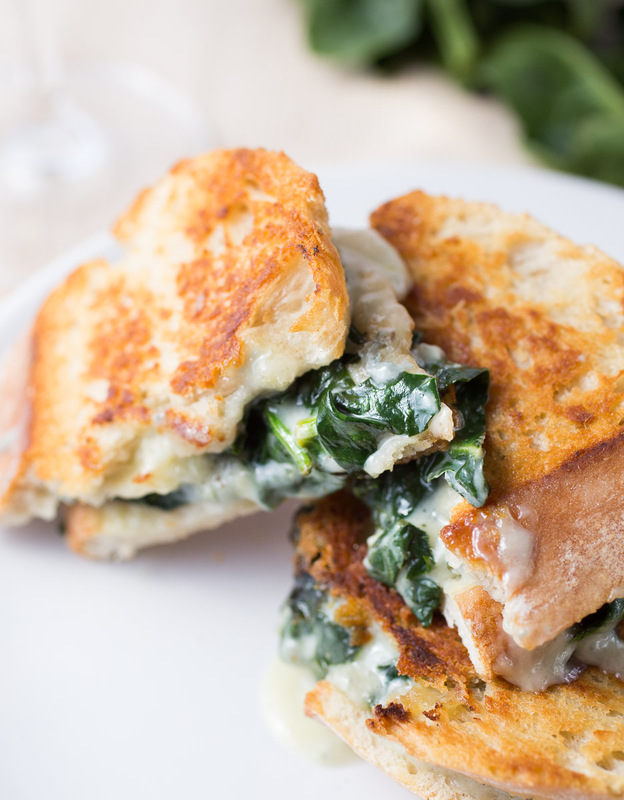 What makes this sandwich a winner is of course the gorgonzola cheese. It turns almost to liquid while melting and soaks the bread, which is just all kinds of delicious. Of course it’s a bit messy to eat, but it’s definitely worth it. In a small pot heat the tabelspoon of butter and when it starts to bubble add the washed spinach leaves. Add the garlic, some salt and pepper and stir gently until it's wilted. Set aside. Heat a large pan over low-medium heat. 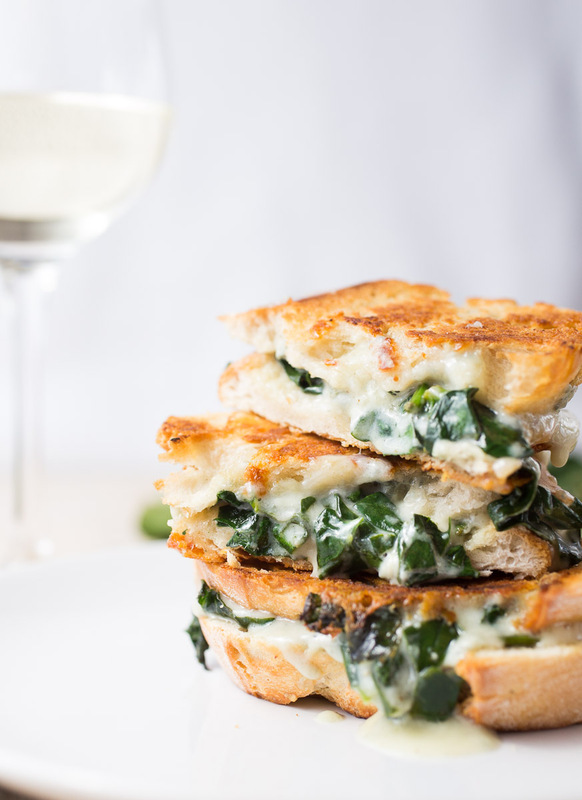 Layer some gorgonzola slices on a slice of ciabatta, add a tablespoon of spinach and finish with another slice or two of cheese. Add the to layer of bread and butter both sides slightly before putting it in the pan. 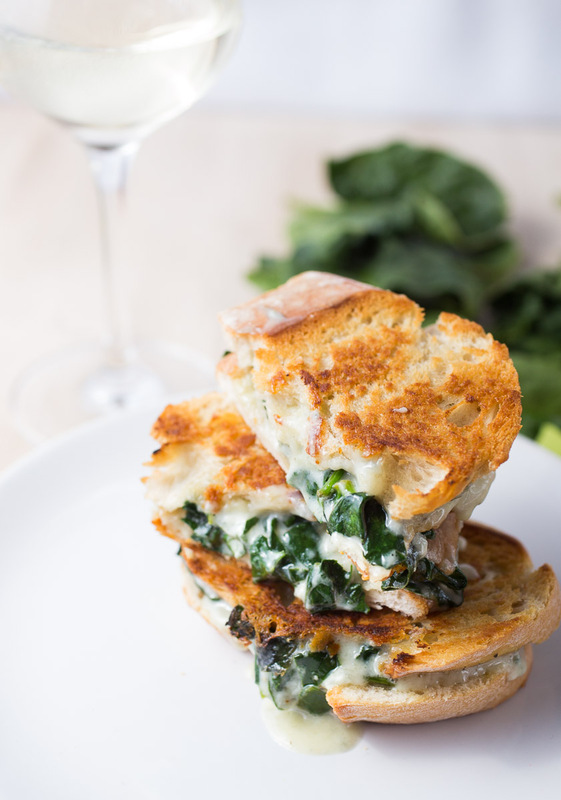 Turn frequently until the cheese is melted and the bread is brown crispy.